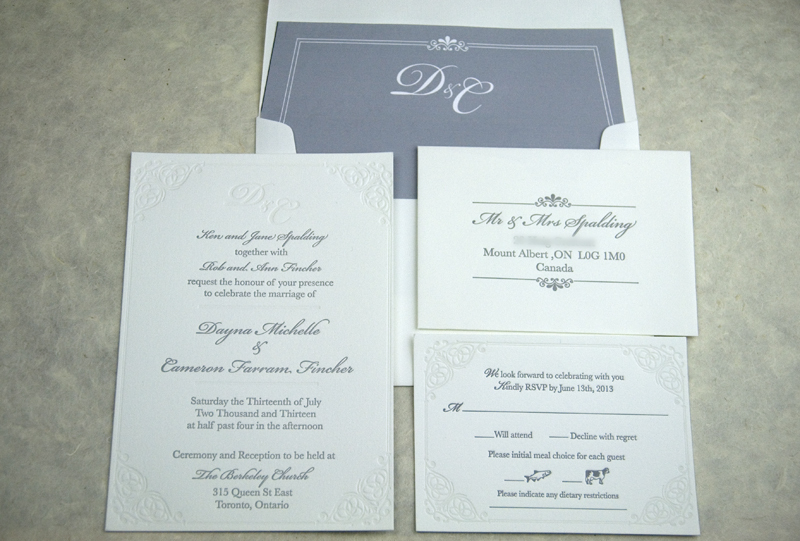 Here is an invitation suite that came to us from Cameron, who designed his suite complete with a beautiful blind debossed monogram and lined envelope. 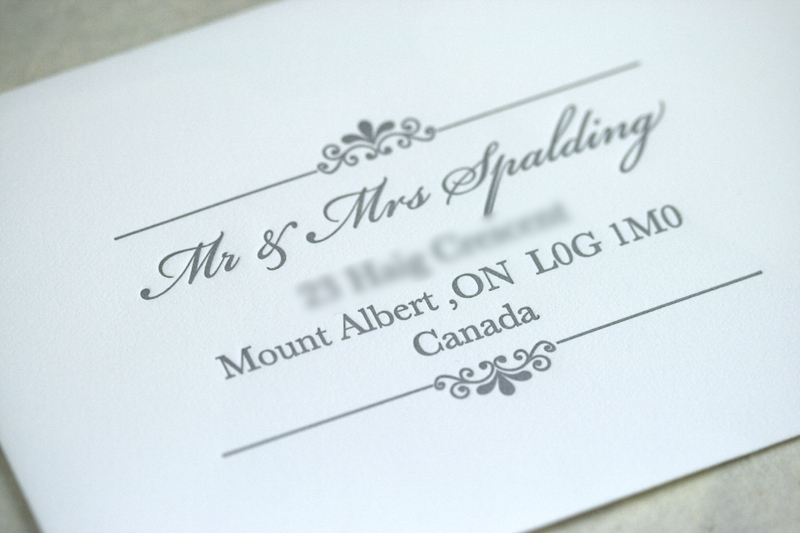 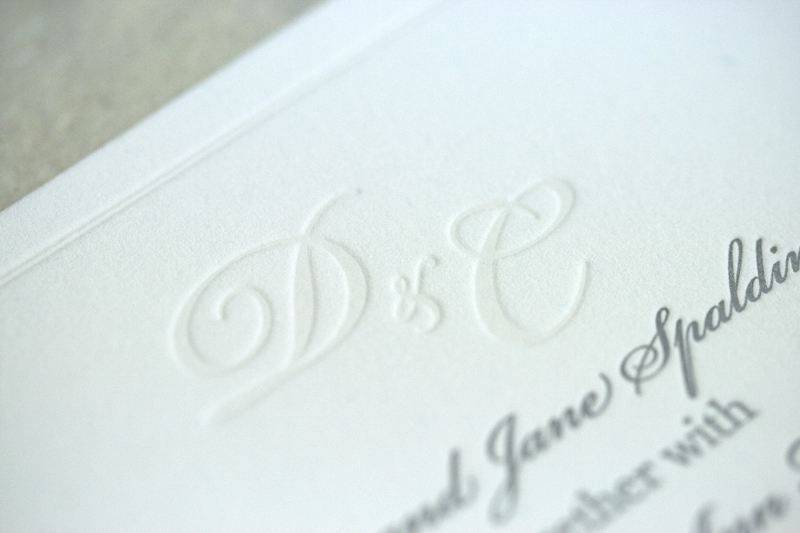 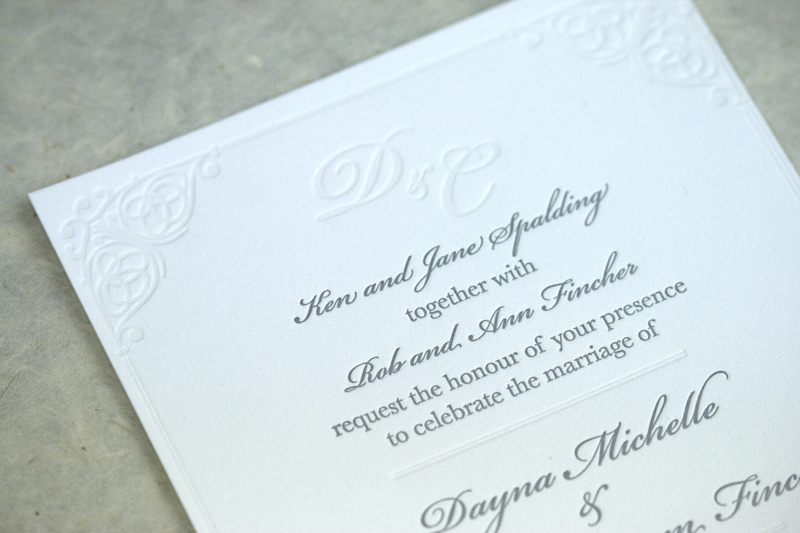 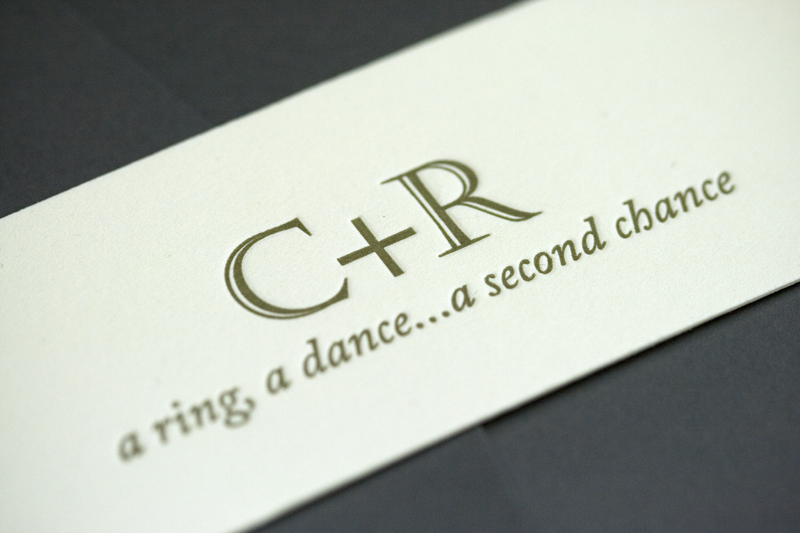 Printed on Crane Lettra, 300 gsm, pearl white in grey and blind deboss (transparent white). 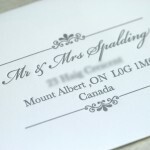 Do you have a design you would like us to print? 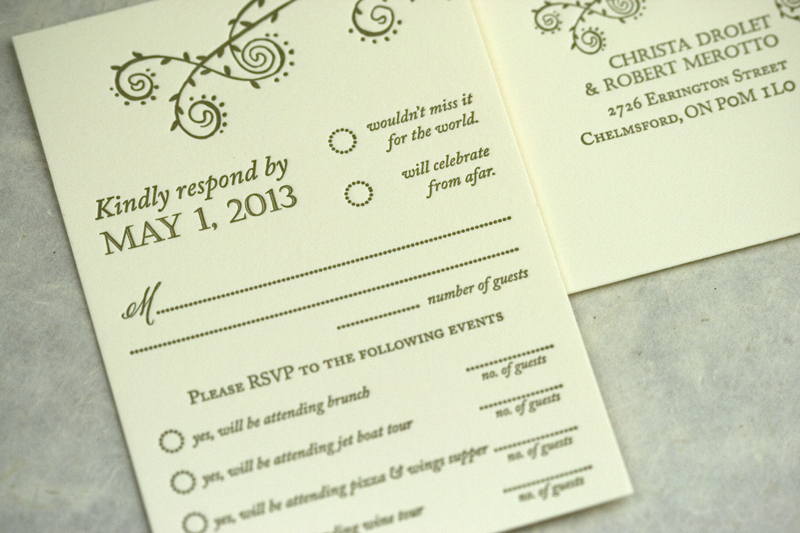 Head over to our Get An Estimate form and fill it out. 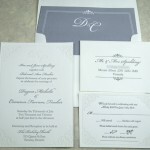 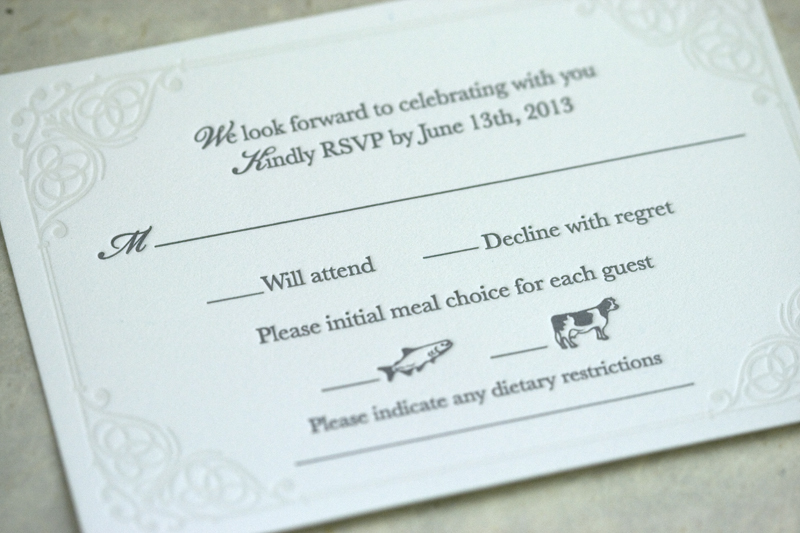 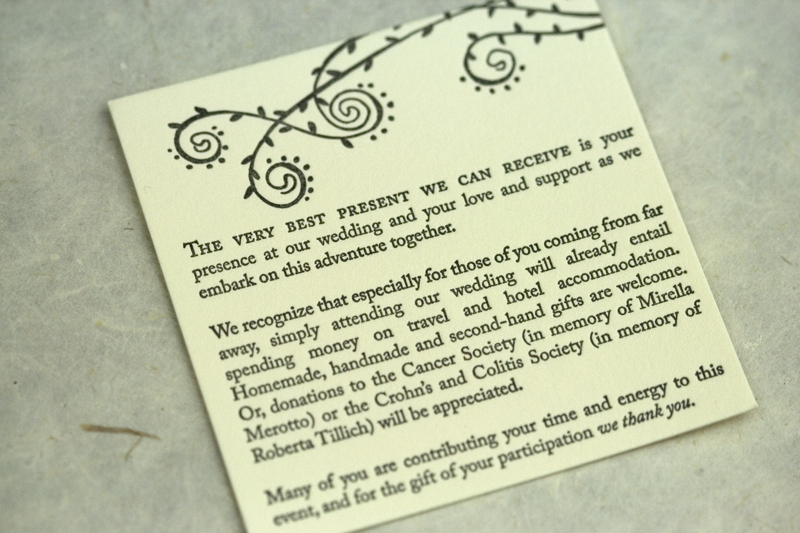 This was an incredibly fun wedding invitation to work on and our first pocketfold invitation…ever! 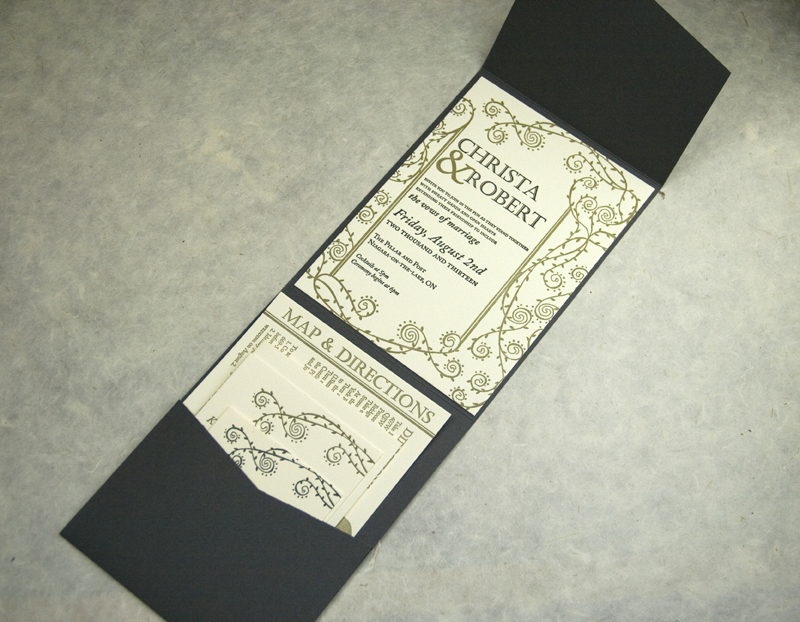 Pocketfolds seemed to be all the rage a few years ago but oddly enough this is the first time a client approached us for a custom invitation to be contained in a pocketfold. 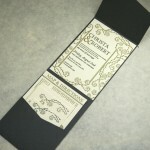 Christa and Robert decided that a modified version of our Scrolling Vine invitation would suit their Niagara-on-the-Lake wedding just fine, printed in gold and black inks. 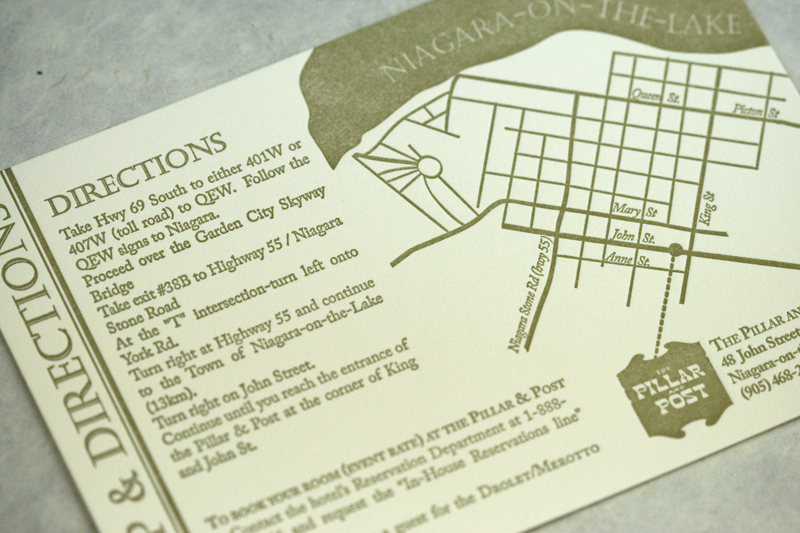 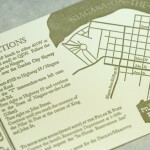 We also designed and printed a reply card, event timeline, map and gift enclosure card. 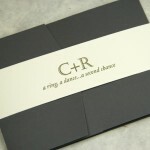 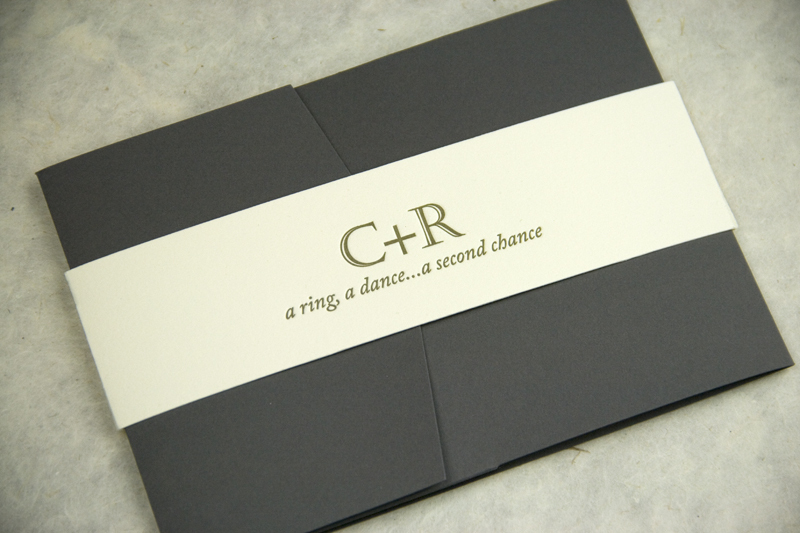 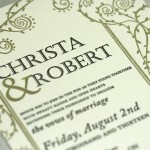 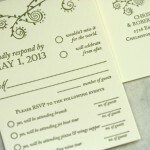 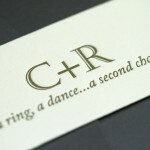 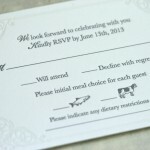 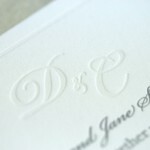 The whole package was finally wrapped together in a custom printed letterpress band. 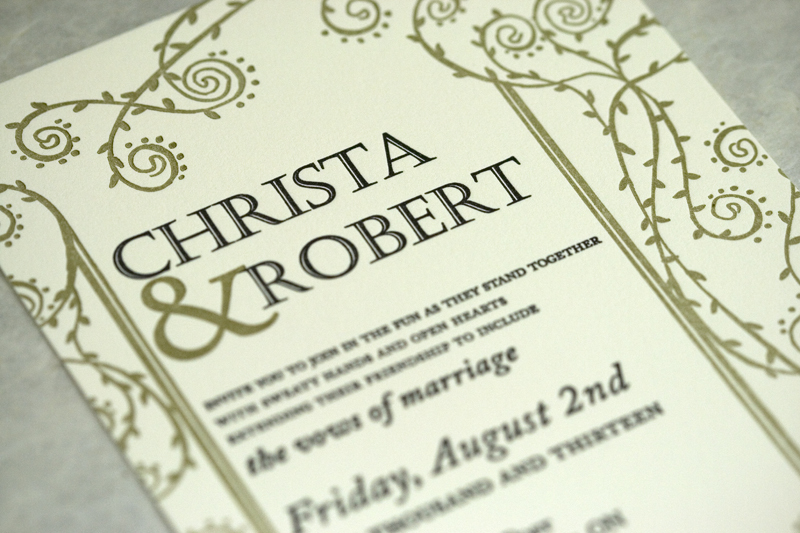 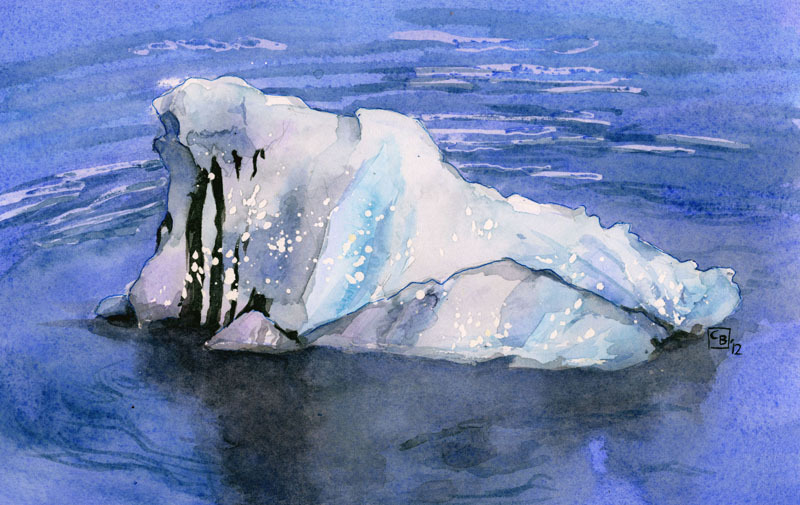 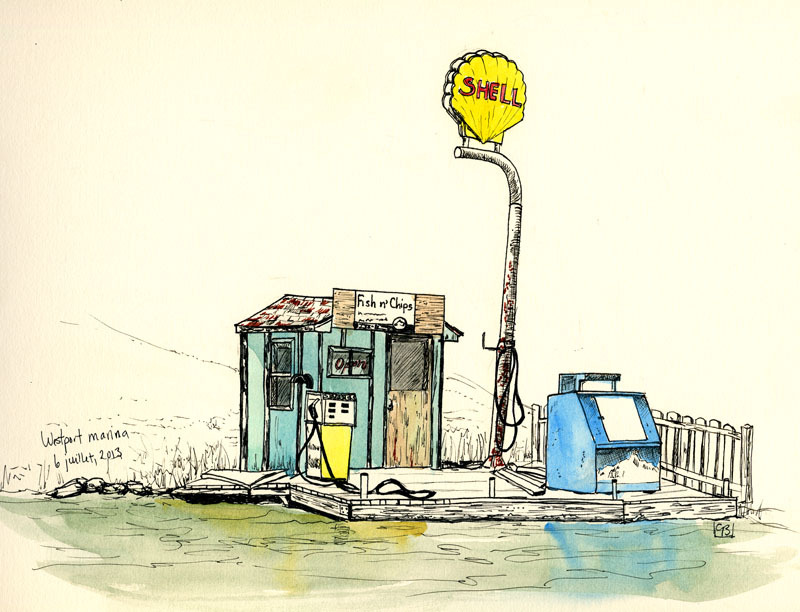 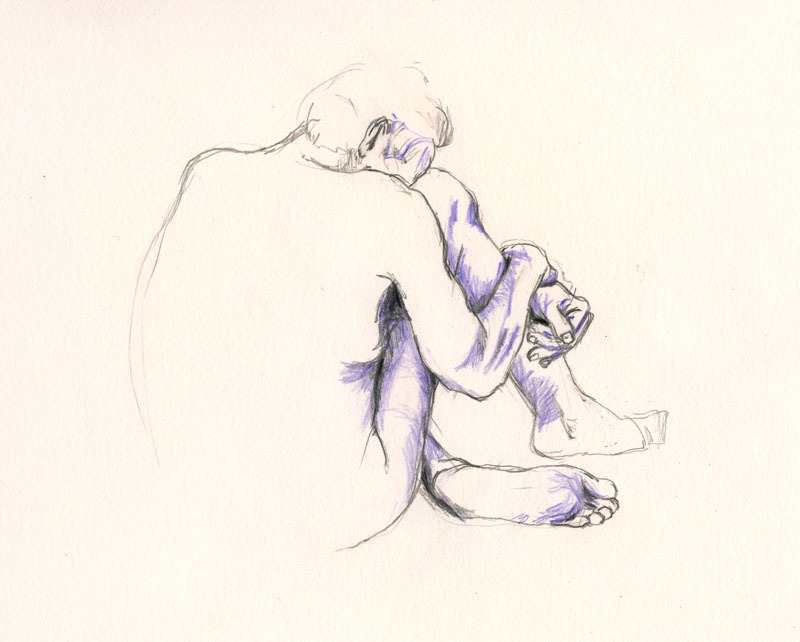 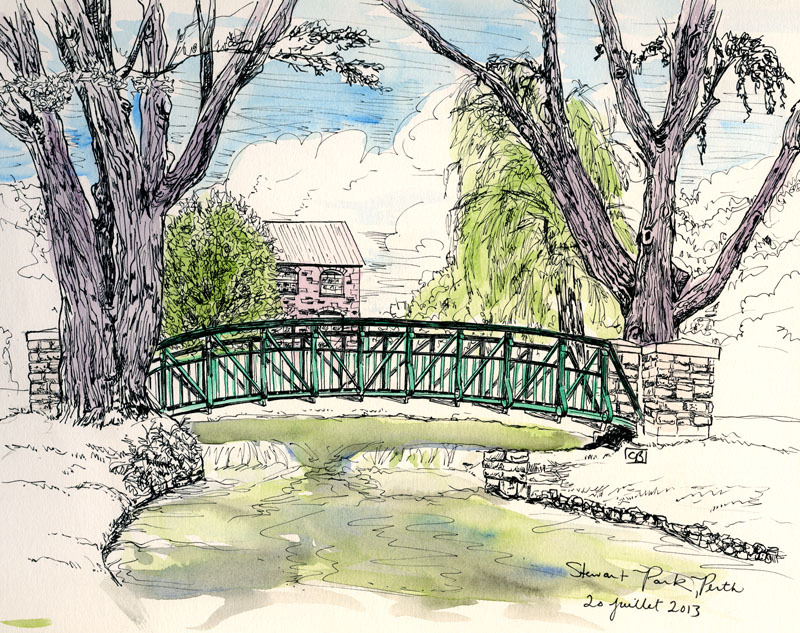 Printed on Crane Lettra Ecru, 300 gsm.